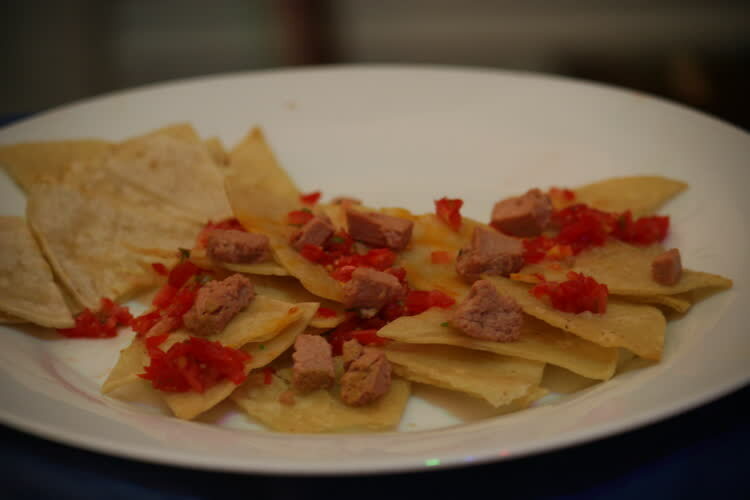 Corn tortillas fried at home with duck pate, cherry tomatoes from the farmer's market. 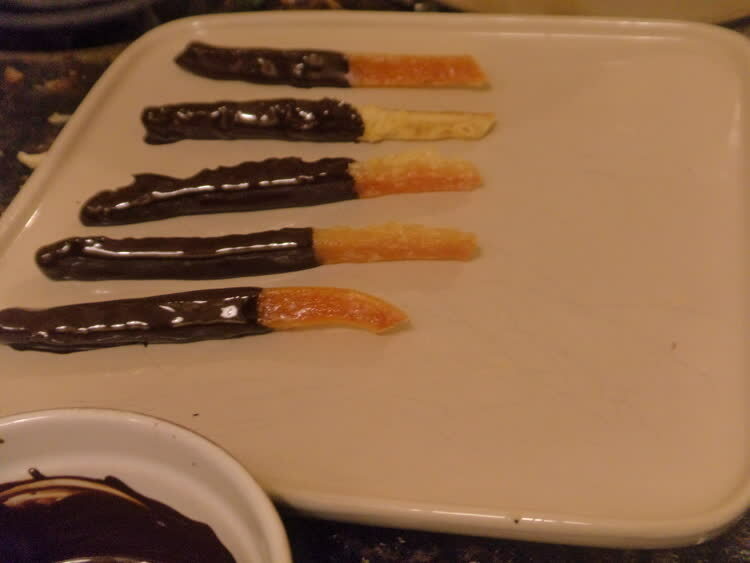 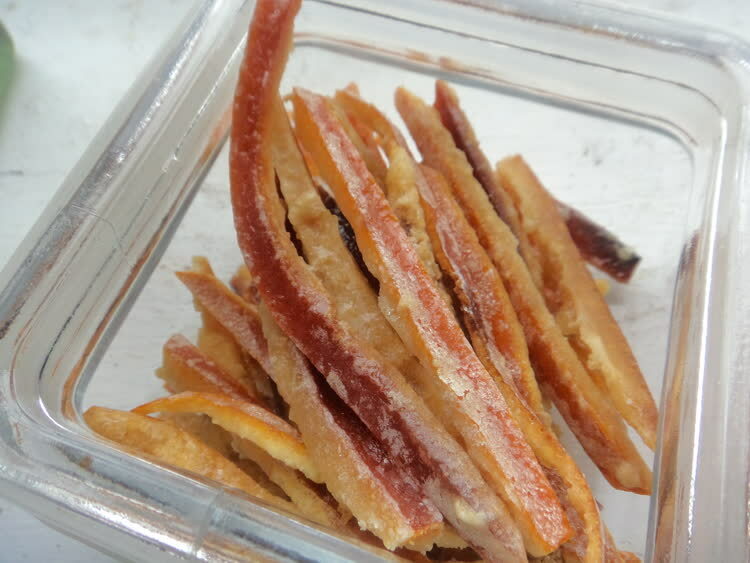 Orangettes half-dipped in melted Lindt dark chocolate. 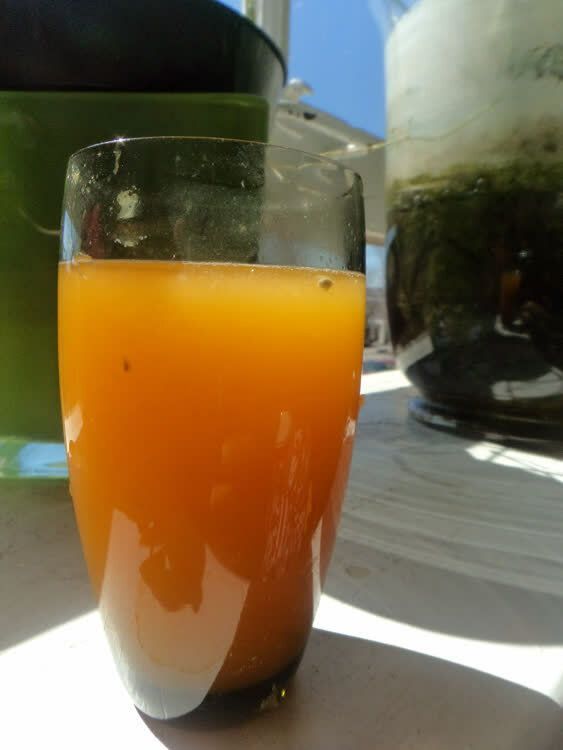 Freshly squeezed clementine juice every morning. 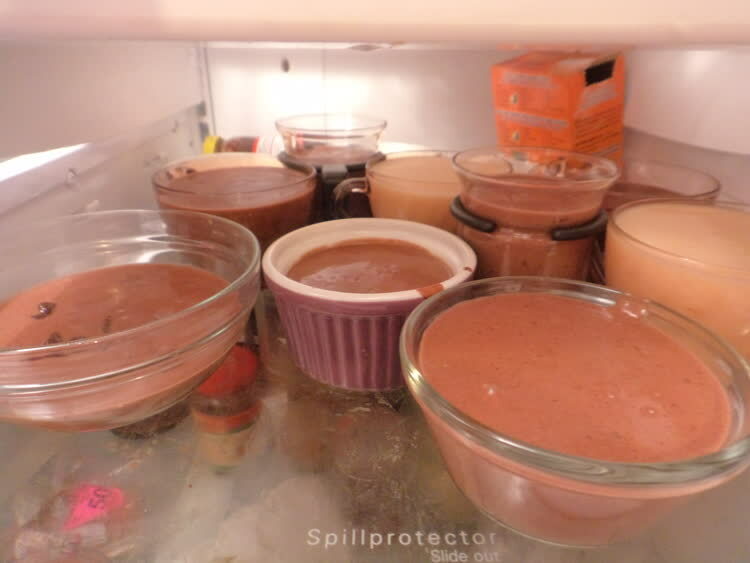 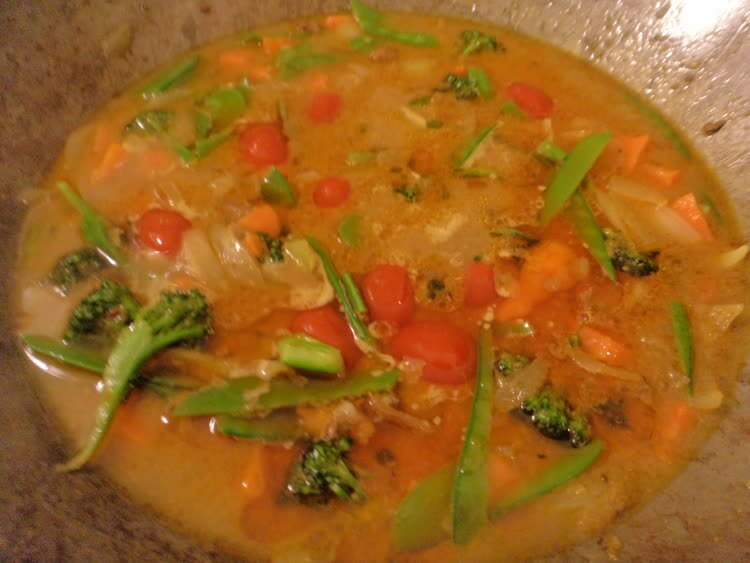 Dinner: Peas, tomatoes, carrots stew. 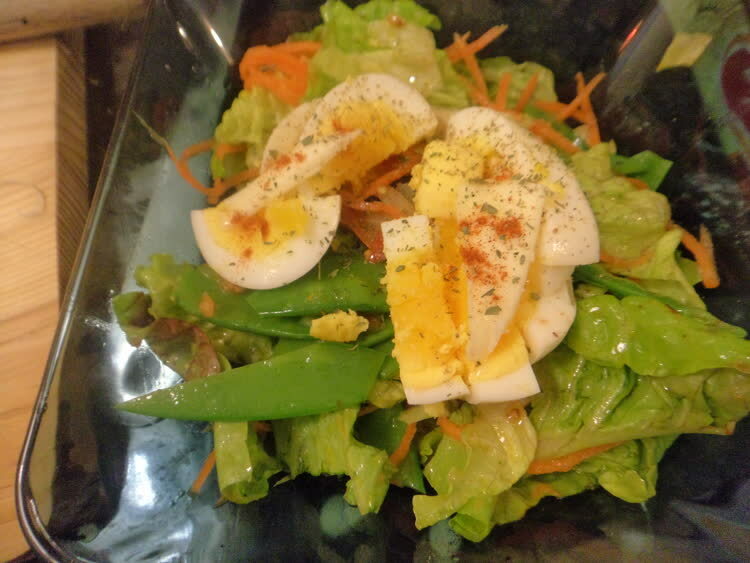 Lunch: salad with lettuce, peas, carrot and boiled egg. 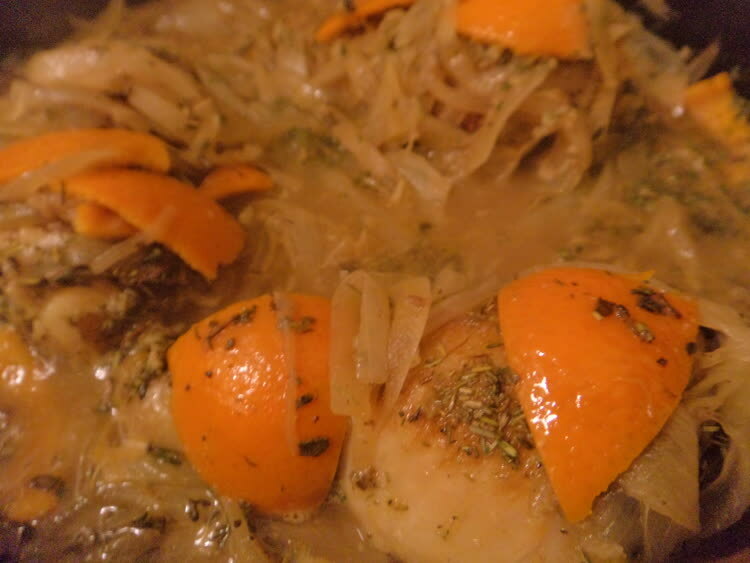 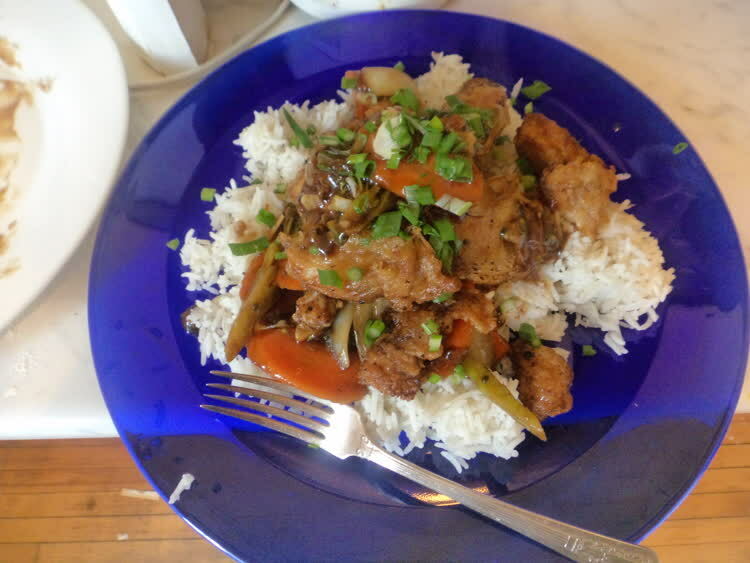 French herb chicken braised in onion and clementine. 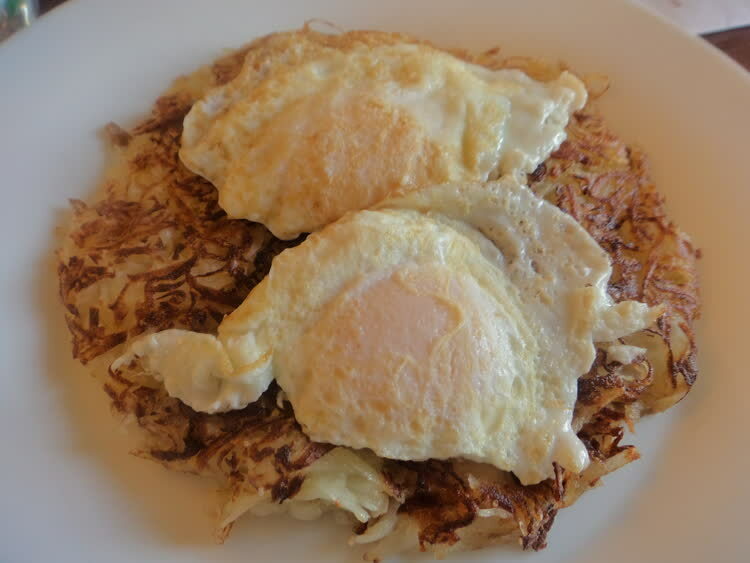 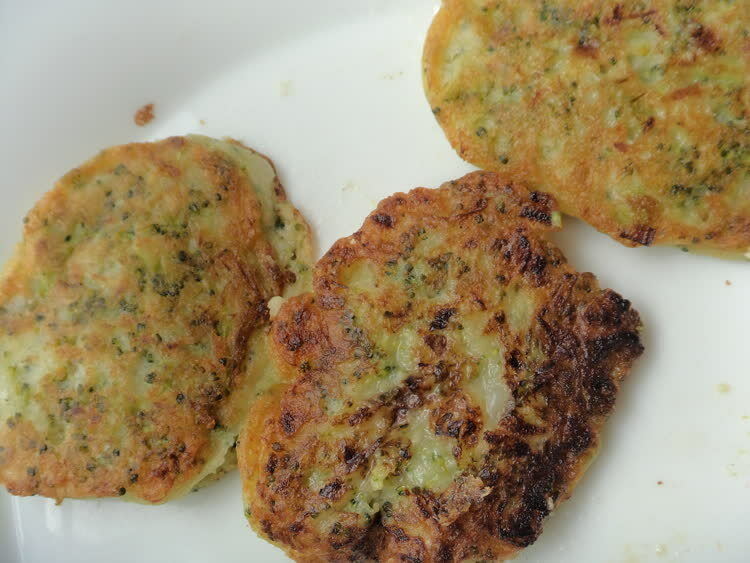 Rosti with fried egg for breakfast.